Ayushmann Khurrana will be next seen in Anubhav Sinha's Article 15 which is based on the caste system in India. Ayushmann Khurrana, who is soaring high on the success of his past films Andhadhun and Badhaai Ho, has joined hands with Mulk director Anubhav Sinha for Article 15. 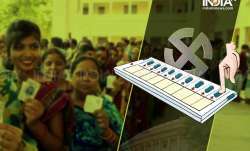 The social drama is based on the caste discriminations.  It is based on the Article 15 of Constitution of India that prohibits people to discriminate on the basis of caste. 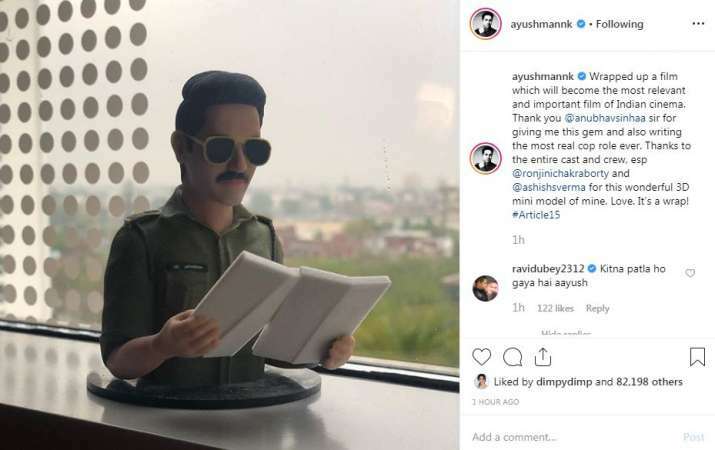 Ayushmann Khurrana has just wrapped up shooting for Article 15 and the actor has announced the news on his Instagram account. He shared a picture of his mini 3D model and wrote, "Wrapped up a film which will become the most relevant and important film of Indian cinema. Thank you @anubhavsinhaa sir for giving me this gem and also writing the most real cop role ever. Thanks to the entire cast and crew, esp @ronjinichakraborty and @ashishsverma for this wonderful 3D mini model of mine. Love. It’s a wrap! 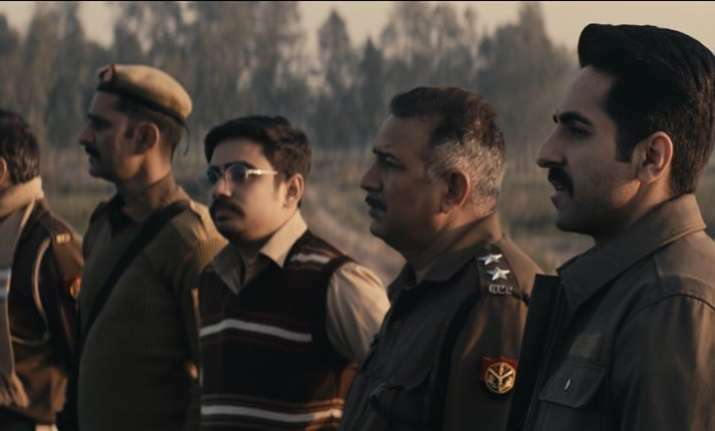 #Article15"
TV actor Ravi Dubey, who happens to be Ayushmann Khurrana's close friend commented, "Kitna patla ho gaya hai aayush." To this, Ayushmanna replied, "main sach mein dubla ho gaya hoon:/"
Ayushmann Khurrana has emerged out as the most popular actor among the current lot. He has been delivering hit after hits with his neighbourhood characters. In his last offering Badhaai Ho, he played the role of a young man whose mother is pregnant. The film talked about unexpected pregnancy in a humorous manner. Ayushmann Khurrana will also be seen in Dream Girl, which will also have Sonu Ke Titu Ki Sweety actress Nushrat Bharucha in an important role.